In the 1950s and 60s, children with autism were deemed to have ‘infantile psychosis’ … as was my case when diagnosed in a hospital in 1965 at age 2 as ‘psychotics’. This was the norm back then. We are not new, most of us from the 60s were put in institutions and never told that as therapists moved on from Kanner’s idea of autism as ‘childhood psychosis’ that those once diagnosed with ‘infantile psychosis’ were progressively diagnosed with the more palateable term of ‘autistic’. I heard she became a model, got married, lived in Ireland, but who knows, could be Chinese whispers. I can’t help but wonder what if her parents had been told she was autistic? Would they have beaten her into functioning? Or accepted her autism as her ‘culture’, her ‘nature’? It would be amazing to hear from her, her take on Autistic Pride and neurodiversity. 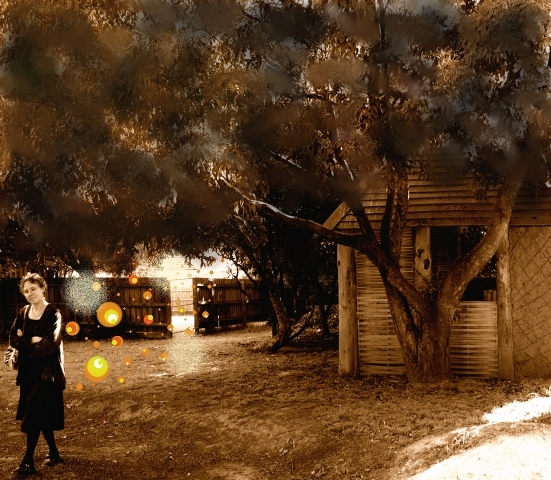 Would the autism movement today have done public lynchings of her all over the internet? If she were proud of the life she attained would they attempt to discredit her entire life? Would she identify as Ann or as An Autistic who happens to have the name Ann? Would she feel her partner (if not on the spectrum) was ‘NT’ (‘neurotypical’) or just another diverse human like herself? Would she agree with the stereotypes or find them laughable and archaic? Would she feel her autism had been ‘one thing’ or a ‘fruit salad’, her culture or condition, her self or a disability? Did she do the autism zoo thing like Temple and I did before we ever got touted about, Temple since the 80s, me since the 90s? Did she read my books or Temple’s, compare notes? What did she think of Nobody Nowhere when it was published in 1991 or Thinking In Pictures when it was published in 1994? What did she make of Aspergers when it became a utilised diagnosis around 1994? Did she identify or find it completely unrecognisable from her own autism? And before Ann was Dibs, in 1964, referred to as emotionally disturbed but also considered autistic. Dibs in Search of Self is a story by clinical psychologist and author Virginia Axline published in 1964. It chronicles a series of play therapy sessions over a period of one year with an emotionally crippled boy who comes from a wealthy and highly educated family who, in spite of obvious signs that he is gifted, his mother and father perceive him as a “mental retarded”, because he presents abnormal social behavior: “Dibs” continuously isolates himself (shuns social contact), rarely speaks, physically lashes out at his parents, sister, caretakers, and classmates at school (hitting, kicking, biting, etc. ), has homicidal ideation, and displays severe anti-social behavior; he is subsequently considered to be either retarded or possibly autistic by his teachers who cannot get him to participate in class. 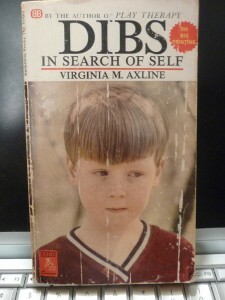 Dibs was the son of two well-educated parents, his father described as an “extremely intelligent scientist.” Virginia Axline uses Play Therapy, a methodology she helped to discover, design and test, in order to communicate with “Dibs”. Gradually, ‘Dibs’ is able to “break out of his silent world”, rehabilitated, and brought to normal social behaviors. “Dibs” was subsequently tested at the end of his therapy and was found to score in the extremely gifted range, with an IQ of 168, on the Stanford-Binet Intelligence Test. Axline, Virgina M. (1964). Dibs In Search of Self. Ballantine Press, Published by Random House Publishing Group, New York. We have conveniently erased both of them on the basis they do not fit today’s autism politics and agendas. But theirs were the first stories.